Remind you of anyone? 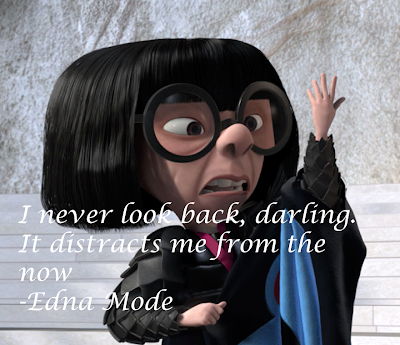 Perhaps Edna the superhero costume designer from the movie "The Incredibles"? Although the connection has never been confirmed, they look a little too much alike for it to be coincidence. 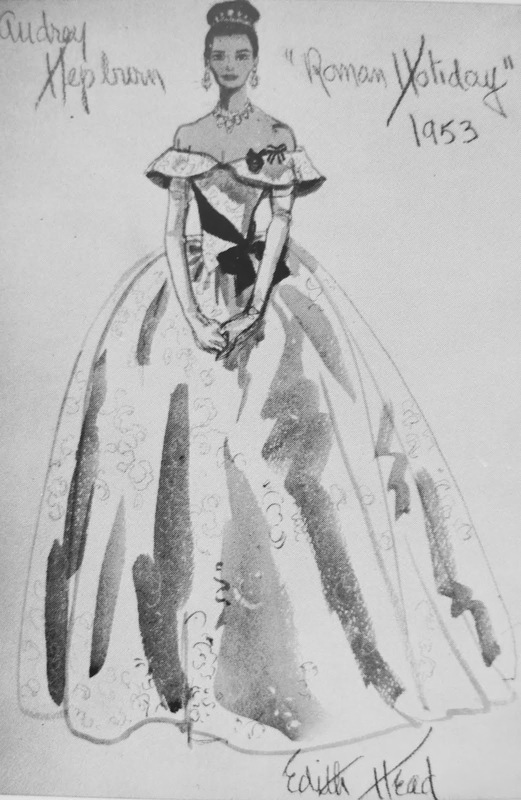 Edith, according to the knowledgeable Wikipedia, was a costume designer - one of the best - from 1927 until 1981. 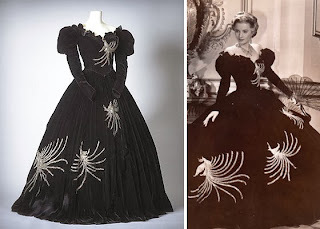 She won 8 academy awards in that time, which was more awards than any other designer, and any other woman, had ever won. She designed clothes for the likes of Audrey Hepburn, Ginger Rogers, Grace Kelly, Elizabeth Taylor, Natalie Wood, Sophia Loren, Bette Davis, and worked with directors like Alfred Hitchcock. She started out in costume design with nothing but an evening art class under her belt, some borrowed sketches she passed off as her own and a whole lot of chutzpah, but she had hit on something she loved because her career as a costume designer spanned decades. She was even asked to design the women's coast guard uniform which she viewed as one of the highlights of her career (imagine that - being asked to design a uniform for the military???) and she received a Meritorious Public Service Award for doing so. But what strikes me about Edith more than her lists of accomplishments is her sense of style. Just googling her designs brings up pages and pages of loveliness - from ball gowns to bathing suits, menswear and period pieces...all interspersed with photos of her quirky self. Even her own look had style. If ever quirky could be stylish, she made it happen. "Style, unlike fashion, is personal. It's about the individual. You have to know yourself in order to utilize style. Style isn't selling you a false promise...[it's] about enhancing who you are, and not attempting to look like someone you'll never be. With style, there are as many ways a woman can look beautiful as there are women. Style thrives when you do. it succeeds when you are the best version of yourself, not a poor version of someone else's ideal." Style forces you to ask yourself the tough questions: What do I love about myself? What do I hate? And more importantly, how can I live with both? "Our clothes, like it or not, give other people insight into who we are. To take control of the message, you have to know yourself, and dress accordingly. (Style is the quickest shorthand to who you are.)" We all wear our hearts and souls on our sleeves - literally - not because we want to, but because it's just the way it is. We all know people who struggle with hygiene, eating disorders, body image issues, self-esteem issues, etc, and we can know these things by what we see, because our "outside" is made up of our "insides". The choices we make affect how we look and sometimes vice versa. Even those who care nothing for their appearance...say just that with their appearance. And if that's what an individual wants to say, then God bless her! But the problem is when an individual's outside and inside don't match up. Enter Styling Stacy. In her book she's selected 9 ladies and does "Start-Overs" with them (instead of makeovers). They're everyday ladies with everyday stories - they're not supermodels or the "perfect" body types. They have curves and booties. They struggle with eating disorders and have beaten breast cancer. They are career women and/or moms - and every one of them craves relevance, beauty, style and a sense of well-being, and have difficulty finding that in their lives somehow. Stacy helps them to see personal issues that may be affecting their sense of femininity, beauty, well-being and style, and helps them through the most common roadblocks. I have seen a little bit of myself in every story so far, and I look forward to reading the remainder of the book. Coco Chanel once said that fashion fades, only style remains the same. There's nothing more stylish than a woman who knows who she is, and lives it out, so happy styling, my friends. Oooooh, this makes me want to read Stacy London's book!!! I feel like I have an idea (in my head) of my personal style...classic with a little flare, but am never quite sure how to make that happen when I'm shopping. 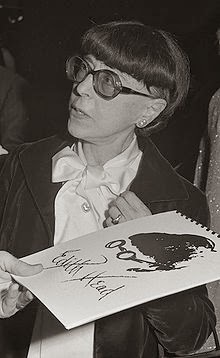 Edith Head was fabulous. Those glasses! And I loved E in The Incredibles: No capes! No capes! This post made me think of An ideal husband, and Arthur's line: "Fashion is what one wears oneself. What is unfashionable is what other people wear." Wilde really had a way with words - pithy, yet true. I used to watch Stacy's show and really liked her approach to dressing. She was wanted to accentuate the best in every woman without turning her into a hoochie mama. It was never about being a slave to current trends, but finding what worked, keeping it simple, and going for quality. I also loved Stacey's show when we used to have satellite tv. However, I did feel particularly sorry for the women when they had to watch the initial videos of themselves, ouch! Style really is about accentuating who you are not trying to emulate someone else. How difficult it is to come to a place where we can do this; it all takes time, doesn't it?